I live in the central part of India in a remote place called Gadchiroli. It is a tribal district, and the poorest region in the state of Maharashtra, India. Twenty-five years ago, my wife, Rami, and I founded an organization called SEARCH (Society for Education, Action, and Research in Community Health). 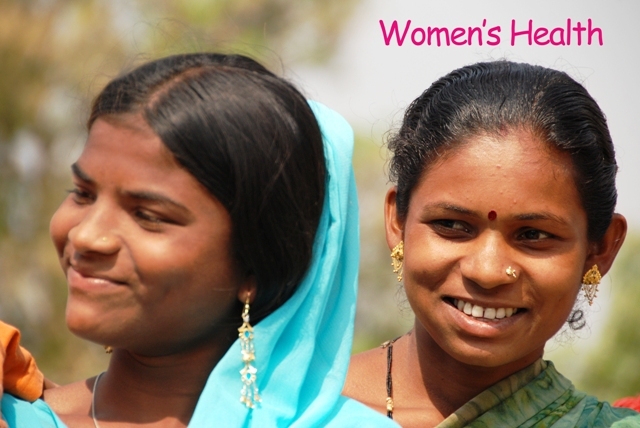 Our basic work has been providing medical care and healthcare to people locally. We conduct research about what people need for healthcare, and then provide this information through our website to empower people and make healthcare solutions available globally. We act locally, but local action fused with research makes for global impact. Mahatma Gandhi inspired me to work in this remote area. About 60 years ago, Mahatma Gandhi asked my father (who was a young professor of Economics at that time) to go to the villages of India, which he did. This began our family legacy. When I completed my medical education, Rani and I married, subsequently studied at Johns Hopkins University, and then returned to work in India. The district was so remote that people, doctors, and nurses in Maharashtra did not wish to work there. It was infested with malaria, snakes, tigers, and the Maoist movement. Rami and I wanted to provide medical care to the people who needed us most. That is why we travelled to Gadchiroli. On the one hand, we had compassion for the most vulnerable human beings, and at the same time we combined our compassionate effort with science and research. Compassion and research together is a very powerful combination—it changes the world. Compassion should be an integral part of any healthcare program. As a person, as a patient, when we receive healthcare we expect compassion. However, compassion can get lost in large-scale systems and global health programs. We get swamped with data and numbers. Doctors, public health experts, planners, and bureaucrats lose sight of the needs of patients, the needs of the people. Death is discussed, disease is discussed, but compassion is not discussed because it is not concrete, it is not tangible, and you cannot measure it easily. Our day-to-day practicalities lead to too much work and not enough time to relate to people personally. When a healthcare provider loses his or her sense of compassion, healthcare becomes impersonal. Anyone who receives healthcare without compassion, in turn, feels insulted because the person who is providing healthcare without compassion is doing so out of obligation. Both the receiver and the giver feel deprived if there is no compassion, however both will feel enriched when compassion underscores the care. Decisions made in global health that are not grounded in compassion often become inappropriate, insensitive to local needs. For example, population control is a worthwhile priority. The world needs it. But when contraceptive programs and technologies were delivered on a large-scale to women worldwide without compassion, women started complaining in the 80’s and 90’s that the programs were being thrust upon them. This is a classic case study of how a correct goal of population control, along with the correct technology of contraception, was delivered inappropriately, without compassion, and without being sensitive to the recipient. We needed different technologies, and we needed to for different kinds of relationships. Finally, the global population policy changed from one of mere contraception—pushing pills and IUDs—to one of women’s reproductive health. Similar challenges might happen with other healthcare programs, so we must be sensitive to local people who are the recipients of global healthcare. To be sensitive we need compassion. To be good listeners we need compassion. Dr. Bang is the Director of the Society for Education, Action and Research in Community Health (SEARCH), which he started in 1984. He and his wife, Dr. Rani Bang, live and work in Gadchiroli in India where they provide medical care and conduct research in 100 villages. Dr. Bang and SEARCH developed a new approach, ‘Home-based Newborn and Child Care,’ which has significantly reduced the infant mortality rate. This research has been selected as a milestone paper to be included in the Vintage Lancet. This approach has been incorporated in the national program by the Government of India, and has now been accepted by the WHO/UNICEF for the areas which lack access to hospital based care. He has received the highest honor of the Maharashtra state, a national award from the Indian Council of Medical Research, and has been honored by Save the Children and the MacArthur Foundation. 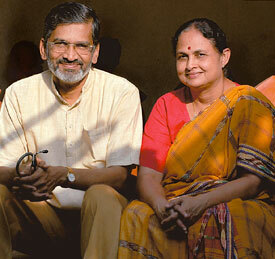 Abhay and Rani were honored by Time magazine as ‘Global Health Heroes’ in 2005. He has written an award winning autobiographical book on his heart disease.